Sorry, this movie isn't currently showing. 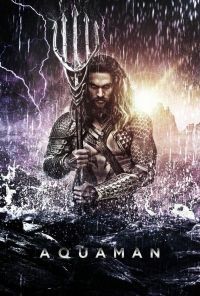 The film also stars Amber Heard (“Justice League,” “Magic Mike XXL”) as Mera, a fierce warrior and Aquaman’s ally throughout his journey; Oscar nominee Willem Dafoe (“Platoon,” “Spider-Man 2”) as Vulko, council to the Atlantean throne; Patrick Wilson (“The Conjuring” films, “Watchmen”) as Orm/Ocean Master, the present King of Atlantis; Dolph Lundgren (“The Expendables” films) as Nereus, King of the Atlantean tribe Xebel; Yahya Abdul-Mateen II (upcoming “Baywatch,” Netflix’s “The Get Down”) as the vengeful Black Manta; and Oscar winner Nicole Kidman (“The Hours,” “Lion”) as Arthur’s mom, Atlanna; as well as Ludi Lin (“Power Rangers”) as Captain Murk, Atlantean Commando; and Temuera Morrison (“Star Wars: Episode II – Attack of the Clones,” “Green Lantern”) as Arthur’s dad, Tom Curry. If you wish to book a movie deal for this film, please do not book online, but call us on 015394 33845. 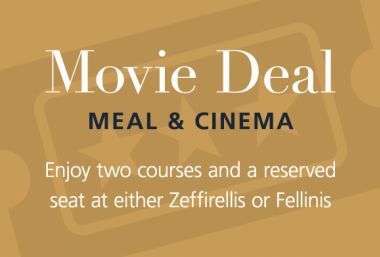 Be the first to know the latest at Zeffirellis and Fellinis. Find out about special events, live performances, and special one-off live showings of international theatre before anyone else. Simply sign up to our newsletter and we’ll do the rest. © Copyright 2019 Zeffirellis. All rights reserved.